Eligible employers will receive the first payout of the Wage Credit Scheme (WCS) in March 2014. This is the first of 3 payouts, with the subsequent ones happening in March 2015 and 2016. No application is required to receive the payout, but employers will need to pay their employees’ CPF contributions for their wages earned in 2012 and 2013 by January 14 in order to be considered. The Wage Credit Scheme was introduced in February this year to help businesses manage rising wage costs in a tight labour market. 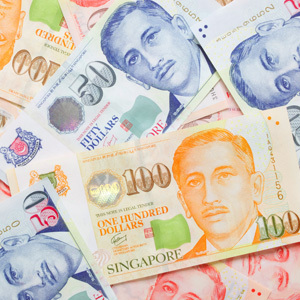 Under this scheme, the government programme co-funds 40% of wage increases given to Singaporean employees earning up to S$4,000 from 2013 to 2015. Wage increases given during this period will also be eligible. It is meant to let businesses free up resources to make investments in productivity and to share the savings with their employees. The $3.6 billion package is part of a 3-year Quality Growth Programme to help companies tide through the current period of restructuring. About 60% of 103 employers who were asked by The Straits Times said they were in favour, or somewhat in favour of the scheme. However, their long term outlook was not as optimistic, with many voicing fears that it would ultimately increase labour costs. Rikvin acknowledges that while the WCS is not the ‘minimum wage’ which workers were hoping for, it is still a measure by the government to encourage firms to raise their employees’ wages. Mr Satish Bakhda, Chief Operations Officer, Rikvin, said the WCS will let firms benefit by increasing their workers’ salaries by bigger increments and at a more rapid pace. “Wage increases are generally welcomed by employees. Employers who increase their workers’ salaries will usually see an improvement in work productivity, morale and results, especially as living costs are on the rise in Singapore. Workers will know that their work is valued by the company and recognised by their employer,” he said. The scheme also shows how Singapore companies would have much to benefit by operating in the island-state. “The WCS also shows the Singapore government’s commitment towards helping firms tide through the restructuring process. About 7 in 10 Singaporean workers will benefit from it as it covers all sectors in the economy,” Mr. Bakhda said.